The DKN Deluxe Hand Grips are the advanced comfort version of the basic series but still feature many of the great qualities of the basic model. These super resilient sprung hand grips are the perfect and quick addition to your training, and can be completed anytime, anywhere. Whether at home or at work, these great strengtheners will improve your grip strength in no time. for submitting product information about DKN Deluxe Hand Grips We aim to answer all questions within 2-3 days. 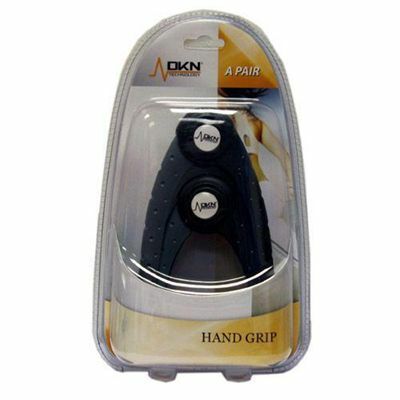 for submitting product information about DKN Deluxe Hand Grips. We aim to answer all questions within 2-3 days. If you provided your name and email address, we will email you as soon as the answer is published. They do the job. They were very decently priced. They were very quickly delivered. They are well produced. for submitting product review about DKN Deluxe Hand Grips.